Five people wake up outside the Western town of Blood City. They have no knowledge of who they are other than a card in their pockets telling them that each of them is a convicted murderer. Their only choices are to either become slaves in Blood City or else to fight for their survival unarmed. Michael Lewis chooses the ruthless game of survival. He is unaware that computer programmers are watching all his moves and that Blood City is in fact a virtual reality simulation to test recruits to see if they have the right stuff to become law enforcement officials. This Anglo-Canadian co-production clearly rides in on the tails of Westworld (1973). Crucially though, it lacks either the cleverness or levels of examination about the Western that Westworld had. Without realising it at the time, Welcome to Blood City was also the first film made about Virtual Reality – well before the term Virtual Reality had ever been coined and the concept had entered the public paradigm. That said, the recently unearthed Rainer Werner Fassbinder tv mini-series World on a Wire (1973) reveals that it predates Welcome to Blood City in offering up some highly sophisticated uses of Virtual Reality themes. The action plays out routinely – Keir Dullea’s plight in having to fight unarmed against opponents comes out passably well. 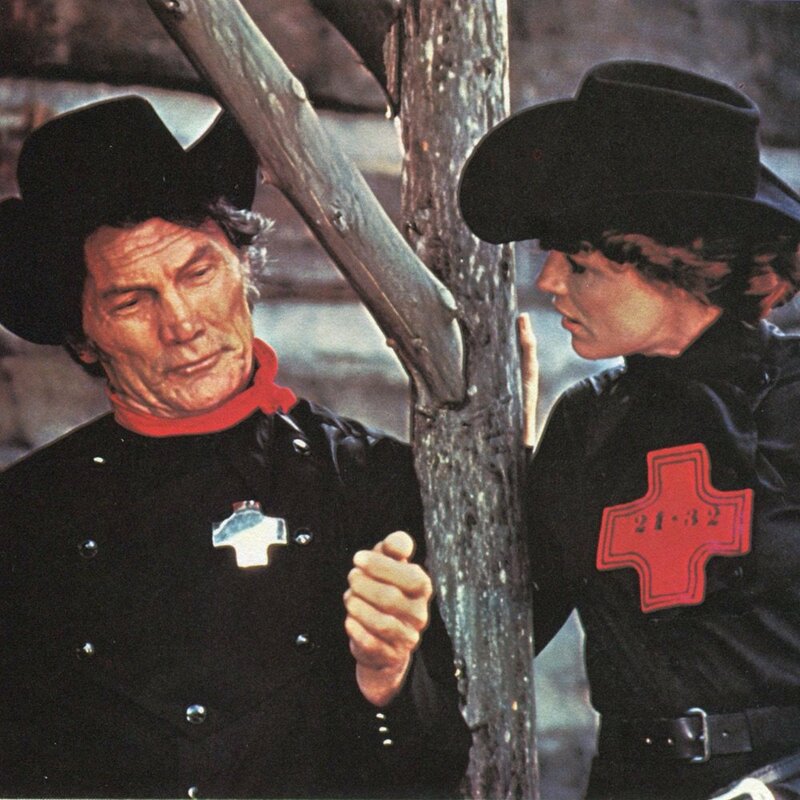 Jack Palance, repeating his casting as a heavy from countless B-westerns, manages to hold the film whenever he is on screen. Samantha Eggar is the other one who gives a halfway decent performance, her real world scenes cut through with a reckless, barely suppressed sexual undertow. 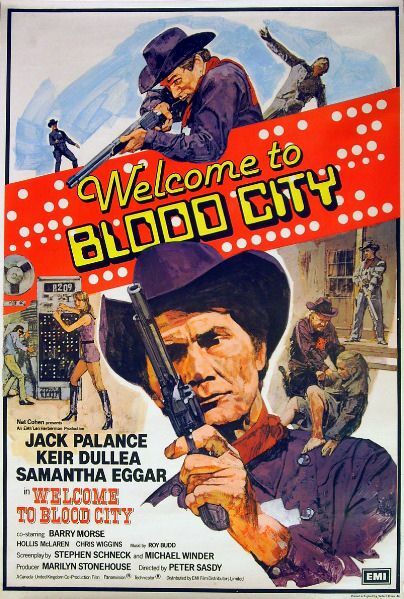 Unfortunately, one finds it increasingly difficult to take Welcome to Blood City as a valid scenario – it is absurd to believe that a society would subject police recruits to a process that turns something like 80% of them into vegetables. The constant cutting back to the monitoring scientists in the real world gives the film’s surprise away long before it should have. Peter Sasdy was a Hungarian-born director who gained a reputation working for Hammer Films. Sasdy’s other genre outings were:– the Hammer films Taste the Blood of Dracula (1970), Countess Dracula (1971) and Hands of the Ripper (1971) about Jack the Ripper’s daughter; the ecological horror film Doomwatch (1972); the immortality syndicate film Nothing But the Night (1972); the Nigel Kneale ghost story tv play The Stone Tape (1972); and the Satanic impregnation film The Devil Within Her/I Don’t Want to Be Born (1975).